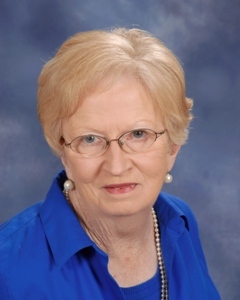 Donna Gale Gunnell Wells, age 70, of Lawrenceburg, TN passed away Saturday, February 02, 2019 at NHC Healthcare of Columbia. She was a native of Lawrenceburg, TN, and retired from the Lawrence County School System where she taught at Old Public and Lawrenceburg Public for 40 plus years. She was also a past member of the Lawrence County School Board, a member of the Lawrence County Retired Teachers Association, and Pulaski Street Church of Christ. She was preceded in death by her parents, Nelson and Beatrice Burnett Gunnell; her husband, Willard Allen Wells; and her twin brother, Roger Gunnell. Arrangements are being handled by Neal Funeral Home, 231 N. Military Avenue, Lawrenceburg, Tennessee. The family will receive friends from 4:00 PM to 8:00 PM Tuesday, February 05, 2019 at Neal Funeral Home. Funeral services will be conducted at Neal Funeral Home at 11:00 AM Wednesday, February 06, 2019, with Jacob Evans and David Stofel officiating. Interment will follow at Dunn Cemetery in Lawrence County, TN. Family suggests memorials be made to Lawrenceburg Public School Library, Summertown Elementary Library, or Dan Mills Elementary Library in Nashville, TN.